Could the dreaded “C” word – cancer – one day be paired with an even more dreaded word that’s the cause of the first: the “S” word? We’re talking about sugar and too many of us are essentially addicted to it, putting our health at risk courtesy of tooth decay, obesity, type 2 diabetes … and yes, perhaps even cancer. While the sugar-cancer connection is still considered a “myth” in many scientific circles, evolving research may eventually change that perception. Here’s where sugar and cancer may intertwine: Scientists have long known that the rapid production of cancer cells occurs as the cells take glucose and ferment it, producing lactic acid. Normal, healthy cells rely on respiration, rather than fermentation, taking glucose and turning it into carbon dioxide and H2O. Now, researchers have identified that as sugar is broken down within cells, an intermediate compound produced during the process activates a specific protein that can mutate into a cancerous gene. The researchers used yeast cells for their experiment, since yeast cells, like cancer cells, also rely on fermentation, not respiration. According to the researchers, this cycle also may explain why cancer cells multiply at a rapid rate. Results of their study were published in the journal Nature Communications, and of course, follow-up research utilizing human cancer cells is required to substantiate the findings. While the researchers are quick to dispel the notion that sugar directly causes or spreads cancer, they do emphasize that healthy cells handle sugar in a controlled fashion, while cancerous cells may not; and that excess sugar intake certainly can lead to obesity, which is a known risk factor for numerous types of cancer. If nothing else, it may mean cancer patients should be wary of sugar intake to avoid proliferation of cancer cells, since all cells use glucose. The more glucose (sugar), the more energy for cells – normal and cancerous – to utilize. And because cancer cells tend to grow rapidly, they require more energy to do so. More sugar = more energy. What’s more, high sugar intake (specifically added sugars) generally means you’re not eating a nutritious diet; which means you’re not getting the vitamins, minerals and other nutrients your body needs to stay healthy. It also means you may be overweight / obese, which as mentioned, is a major contributor to cancer. 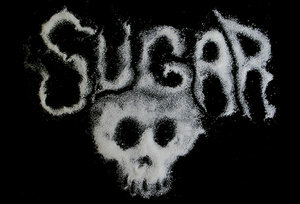 While we wait for research on cancer cells to verify the sugar-cancer connection, one thing is clear: Too much sugar is a bad thing! Talk to your doctor for more information.